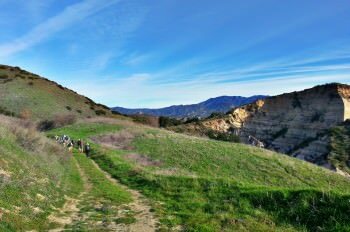 The Irvine Ranch Natural Landmarks is composed of natural lands characterized by steep and rugged terrain with loose rocks, ruts and variable trail conditions. We are committed to enabling the public to experience, enjoy and participate in all the great opportunities that are available within the Irvine Ranch Natural Landmarks. When entering the open space, you need to be prepared for a variety of experiences. Please review the information below for important information. Electric-powered in-line or tandem mobility devices not exceeding 36-inch maximum width are permitted on trails and bikeways, except for single track trails. Gas-powered mobility devices are not permitted on trails or bikeways. Definition of Terms: Electric-powered mobility devices include any mobility device powered by batteries, including multiple passenger carts (3 or 4 wheels), electronic personal assistance mobility devices (EPAMDs – such as the Segway PT), battery- powered bikes (2 or 3 wheels), and single passenger scooters (3 or 4 wheels). Gas-powered mobility devices include any mobility device powered by a gas-fueled engine using natural gas, gasoline, diesel, synthetic or bio fuel or combination thereof, including all-terrain vehicles, carts (3 or 4 wheels), off-road bikes (2 or 3 wheels), motor scooters (2 or 3 wheels), motor cycles (2 wheels), tractors, and vehicles (4 wheels). The Irvine Ranch Conservancy is available to help you learn more about a specific open space area, the trail characteristics and the public programs offered. Please contact David Raetz at draetz@irconservancy.org. These new policies are enforced within the Irvine Ranch Natural Landmarks including the City of Irvine’s Open Space Preserve as well as Orange County Parks’ Irvine Ranch Open Space; for more information click here. 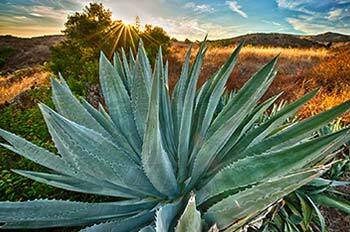 For all other areas within the Irvine Ranch Natural Landmarks please contact the individual land owners for details.